Therapeutic Grade: Using the latest steam-pressing techniques. URbeauty can ensure the purity and the safety of each essential oil. 6 Most Favorites Essential oils: Essential oils set including lavender, peppermint, sweet orange, eucalyptus, tea tree and Lemongrass. Premium Gift Set: Top notch package, 0.33oz for each flavor. 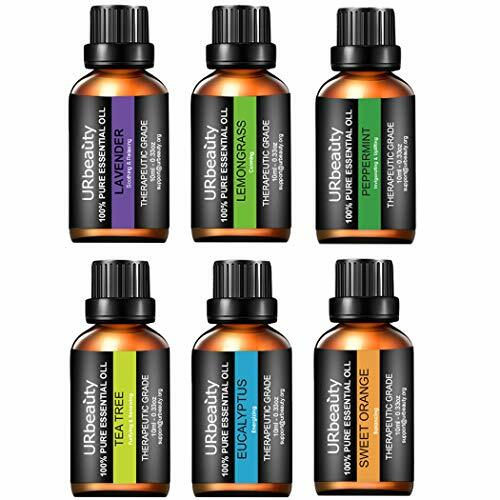 URbeauty Essential Oils Kit is the best gift for lover, friends, parents, kids. 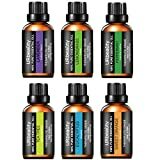 Uses: URbeauty Essential Oils Set can widely used for aromatherapy, custom massage and body oils, vaporizer, diffusion, oil burner, spa and home care, cleaning products. For external use only.